The Weber Clarinet Concerto No. 1 in f minor and Concerto No. 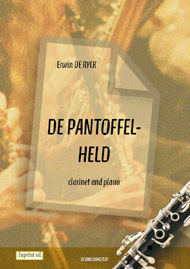 2 in E-flat, like so many other famous pieces of clarinet music, were inspired by one of the great clarinet players of the day. 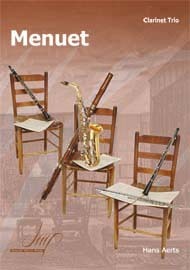 Often overlooked in favor of Weber’s Quintet for Clarinet and String Quartet, the two concertos are firm favorites of many clarinetists, with the technical demands giving the talented player a lot of opportunities to stretch their abilities to the limit. The third movement of the Concerto in E flat is especially notorious amongst clarinetist for its technical demands. A contemporary of Beethoven, Carl Maria von Weber had many family connections to music – his father was a talented musician, and he was the cousin of a cousin of Mozart's wife Constanze. Most famous for his operas, Weber wrote the clarinet concertos only fifteen years before he died. The concertos were both written in 1811 for the brilliant German virtuoso, Heinrich Baermann (1784-1847). This was only a year after he left the employment of to Duke Ludwig at Stuttgart whom he had worked for as a private secretary (a position that ended with a short term in prison). 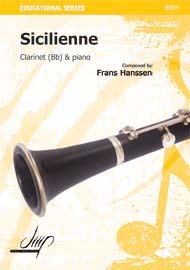 The two clarinet concertos remained unpublished until 1822, when Weber finally gained popular acclaim with his opera (Singspiel) Der Freischütz, making the publication of his music for clarinet a profitable proposition. Weber lived until 1826, long enough to enjoy the triumph of his music for clarinet becoming popular with clarinetists throughout Europe.